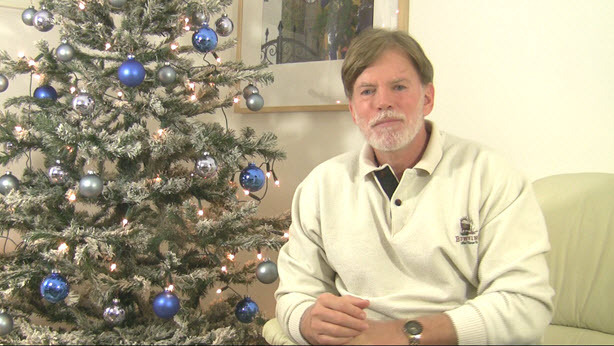 Listen to Dr. David Duke’s Radio Show discussing Jewish Supremacism and the power of Jack London’s book: The Mutiny of the Elsinore! 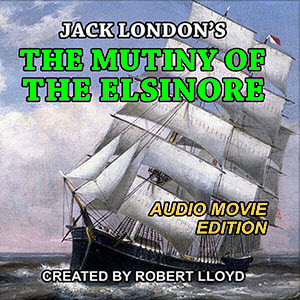 Free Speech Press is delighted to announce the 100th anniversary special edition republication of Jack London’s book The Mutiny of the Elsinore. 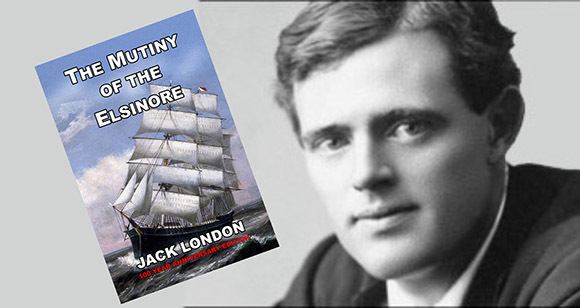 Jack London is one of America’s and the world’s most beloved authors. He penned some of the most-loved and read novels ever, such as Call of the Wild, White Fang, Sea Wolf and other books read and loved by people all over the world. 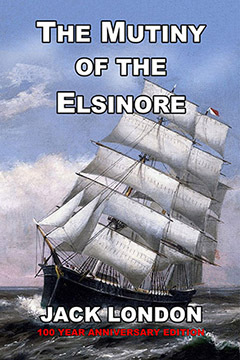 One of his last novels, The Mutiny of the Elsinore is, at first glance, a gripping work of fiction telling the story of some passengers on a turn-of-the twentieth century clipper ship caught up in a raucous crew rebellion while at sea. The rebellion is suppressed, with one of the passengers—and the hero of the story—playing a leading role in saving the day. In truth the book is the epitome of his evolving view of both Nature and the realities of Mankind. Underneath this exciting storyline, this book actually contained one of London’s most deeply meaningful allegories that he ever dared put in print with his own name. Written only a short while after he had formally resigned from the Socialist party in America, this work revealed that London had realized that his well-meant humanism and sympathy for the underdog had been cruelly exploited by a racially supremacist, Jewish tribal elite, and diverted to an end which had nothing to do with uplifting humanity. 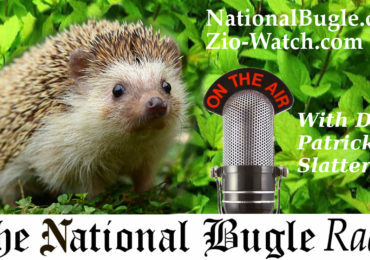 London came understand the true hypocritical nature of Jewish Supremacist “humanism”—and this was why the rebellious and degenerate “crew” in The Mutiny of the Elsinore are under the leadership of a Jew. This novel also inspires us with story of a man’s ability to find the courage and will in his own soul that enables him to prevail even though he initially thought he would never have had the ability to do so. The hero of the book is forced to step forward at a time of great crisis, and act in a manner which he never thought possible—to save his life, and the life of the woman with whom he finds himself falling in love. It is a magnificent inspiring book for those of us who dare to oppose the Jewish extremist tyrants who rule over us. The Mutiny of the Elsinore is an allegory of the rebellion against established order and civilization led by Jewish Supremacists, the false trail created by “Socialists”, the mistakes made by the ruling elite, and the hidden inner power of upright and honest people when their inner strength and reserves are called upon. It is a towering achievement, and has only been ignored by the mainstream media because of its great allegorical message to all people on earth. 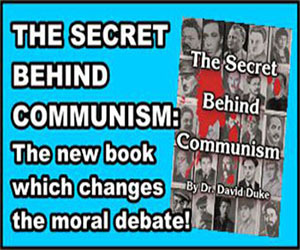 This new, hardcover, 100th year anniversary special version is a superb hardback, full color, dust-jacket edition, and contains a unique introduction by Dr. David Duke, Ph.D., in which the full meaning and context of the work is spelled out. It also includes a biography of Jack London, including details of his dramatic conversion to—and resignation from—Jewish Socialism. FREE AUDIO MOVIE! All copies of the book will come with access to a FREE download of an audio movie edition! This audio movie is professionally made and of world standard, and normally worth $19.95–but will be free as soon as the book is released! 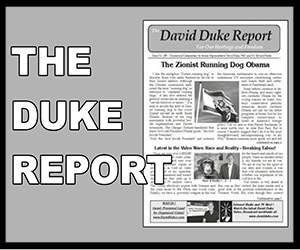 PS — I planned to publish Mutiny of the Elsinore after the Illustrated Protocols of Zion. I wrote the exciting preface months ago. But, due to exciting new material and a major change to over 200 full color illustrations, we have delayed publication of the Illustrated Protocols to after the first of the year. Be assured that any gifts in support of my work for the Illustrated Protocols are carefully recorded, in fact the package for mailing those books has already been prepared. Your gifts in regard to Mutiny of the Elsinore are kept separately, and we have already began to address the packages which will be used to rush you these special Elsinore books. It is because this book it vitally important. 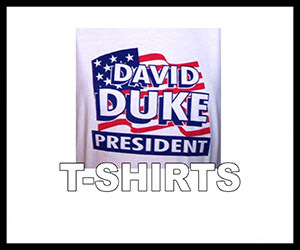 Because it inspires each of us to courage and action to for our freedom, heritage and our destiny. Because your help is needed to help us publish this hundred year edition in the beautiful hardback quality it deserves, and at an affordable cost. In order to get the price of the book affordable, it is vital to have a large print run. Most major books published today have runs of at least 20,000 copies, which greatly lowers the cost of the individual books. We will not print that many in the first run, but it will take an adequate number of books printed to allow the book to be published at an affordable cost. With your help we can publish this 300+ page book in beautiful hardback format, with a gold leaf imprinted cover and spine, and a stunning full-color glossy dust jacket. We will also send the book to key people in America, Europe, around the world, who in turn can share this book’s truth with millions more people. To do all this will require your generous support. It will be of worthy quality to refer to for years and to pass on to your children. It is exactly 100 years since its original publishing, and it comes at a time in which it will make perfect Christmas presents for the important people and loved ones in your life. Almost everyone will treasure receiving this beautiful edition of a Jack London Classic! Your generous gift will enable the publishing of this world-changing book. Those who make a gift of 100 ($ or € in Europe and the Middle East) or more, will receive the very first copies off the press. It will have an embedded certificate of authentication as the numbered first books off the press. And, they will come to you with my autographed introduction. The first 25 books will be numbered and distributed, in order, to the highest gift amounts received by publication date. The other limited numbered editions will be allocated to the 100 ($ or €) contributions, by date of receipt. Like the first edition of My Awakening, which is now is offered by dealers for hundreds of dollars, these books will become extremely valuable over time. 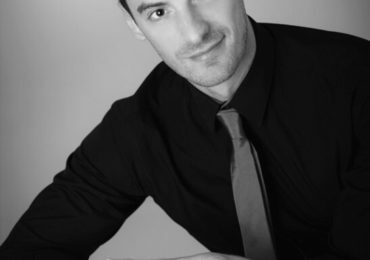 By making this gift of a hundred dollars (or Euros) you are aiding my vital work as well, and receiving this specially prepared and certified copies that will be absolutely unique. Because of the amount of money needed to finance this book, if you can, please consider making a larger gift if at all possible. If you can contribute 200, or 500 or even a 1000, such a gift will enable us to print more books at a lower cost and allow the distribution to those who absolutely need to read this book, it also directly supports my work. Please used the form below to make a substantial gift. Any gifts made of 100 $ or € or more will be rushed the book the day that they come from the printer. We expect this to be within the next two weeks. Please used the secure form below to make the most generous gift you can today, because the earlier the gift and the higher the amount will ensure that you receive the lowest possible numbered and autographed copy. PLEASE NOTE: NO DETAILS WHATSOEVER ARE STORED ON THIS WEBSITE OR ON THE SERVER. Please note that gifts from Europe and the Middle East are processed in the US $ equivalent of the Euro amount. Please be patient: These books will be sent within 24 hours after we receive them from the printer! And I guarantee to rush you the certified, numbered and autographed book by the end of November. The earlier you make a gift and the larger the amount you give will entitle you to the very lowest certified numbers. Those numbered in the first hundred, or even the first ten will be extremely valuable and treasured by collectors. 100 200 250 300 500 1,000 5,000 10,000 ?